Antimicrobial resistance is a serious and growing threat for global public health. In the European Union, Iceland and Norway, infections caused by antibiotic-resistant organisms are estimated to be responsible of 25,000 deaths per year . 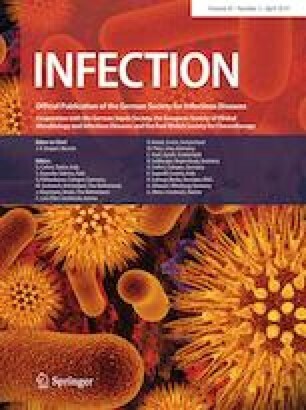 A Swiss expert group on infectious diseases and hospital hygiene (Swissnoso) estimates that approximately 70,000 nosocomial infections occurs yearly, among which, nearly 2.9% end fatally for the patients . In addition, attributable mortality to multidrug-resistant bacteria, mostly Gram-negatives, has been recently reported from Switzerland . This work was funded by the University of Fribourg and by the Swiss National Reference Center for Emerging Antibiotic Resistance (NARA). All the authors agreed on the submitted version of the manuscript. ecdc.europa.eu [Internet]. ECDC/EMEA Joint Technical Report. The bacterial challenge: time to react. c2019. https://ecdc.europa.eu/sites/portal/files/media/en/publications/Publications/0909_TER_The_Bacterial_Challenge_Time_to_React.pdf. Accessed 16 Jan 2019.
swissnoso.ch [Internet]. National Centre for Infections prevention; c2019. https://www.swissnoso.ch/en/what-is-it-about/healthcare-associated-infections/. Accessed 10 Jan 2019. European Committee on Antimicrobial Susceptibility Testing. 2019. Breakpoint tables for interpretation of MICs and zone diameters. Version 9.0. https://www.eucast.org/fileadmin/src/media/PDFs/EUCAST_files/Breakpoint_tables/v_9.0_Breakpoint_Tables.pdf.